Diego Simeone said out-of-form star Antoine Griezmann needs the support of Atletico Madrid and their fans amid his eight-game streak without a goal. 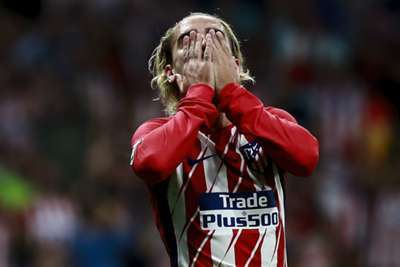 Griezmann was jeered by his own supporters as he fired another blank in Atletico's scoreless stalemate against city rivals and LaLiga champions Real Madrid last week. Linked with a big-money move to Manchester United in the off-season, Griezmann has not scored since September 27, while he has only tallied three goals in all competitions this term – two of those in 10 LaLiga appearances. Simeone defended Griezmann – who revealed a transfer to United is a "possibility" in his biography 'Behind a smile, the life of the Little Prince told by himself' – following the Madrid derby and the Atletico head coach rallied behind the France international again ahead of Wednesday's Champions League showdown with Roma. "Antoine is worried and it's normal because he wants to show us his best version and he need to score for that," Simeone told reporters during his pre-match news conference. 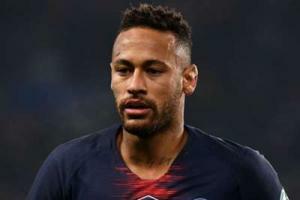 "It's also true that he did a great job in a lot of matches even if he didn't score but he had a great relationship with goals in the last year's so now that he's not scoring he's suffering and so does the team. "Also, the fans get angry because he has been our top scorer in the last season's, the kid has everything, he's an awesome player, from our side we know that we just need to support him. Giving him the opportunity to play and trusting him because he's a player with the goal in the blood so he will naturally find his way back to it." Simeone added: "Like I said Antoine is fine. He needs to start scoring again in front of goal. He is a young boy with a bright future, a very bright present too, his colleagues really love him. "The people of Atletico Madrid have demonstrated their affection and its critical when the situation gets very negative. People have shown great appreciation for him. How long has he been here? Four years! He has given so much its normal for that to happen, they demand so much of him, he is an idol of the club." Roma's visit to the Spanish capital midweek looms as a must-win for Atletico, who are third in Group C and four points adrift of second-placed Chelsea after four matchdays. The Italians top the group by a point and remain unbeaten with two fixtures remaining and Atletico midfielder Koke said: "We have to think about ourselves and try to win tomorrow. As that will mean whether we actually stay alive in this competition or not in the Champions League. "We are thinking only about winning. It depends on us if we win or not. That's it. I hope that we will be lucky, but tomorrow if we don't win, then the next round of games don't mean anything. We have to accept everything possible to win tomorrow."